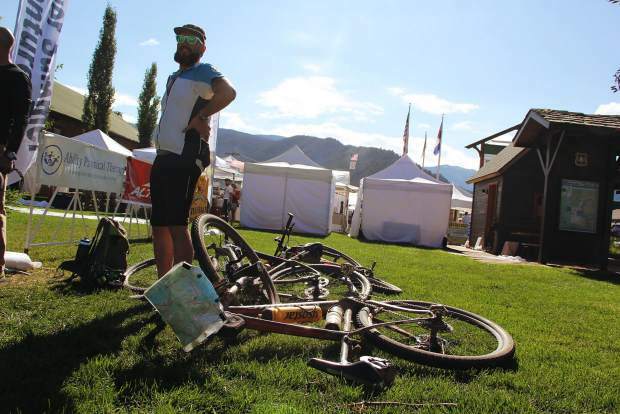 A Never Summer Adventure Race competitor stands near the finish line last year. A topographical map of the Three Lakes is mounted on the handlebars of a race bike, demonstrating the importance of navigation in a race with no defined course. 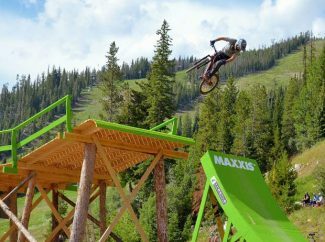 Attention thrill seekers: the Never Summer Adventure Race is returning to Grand County. 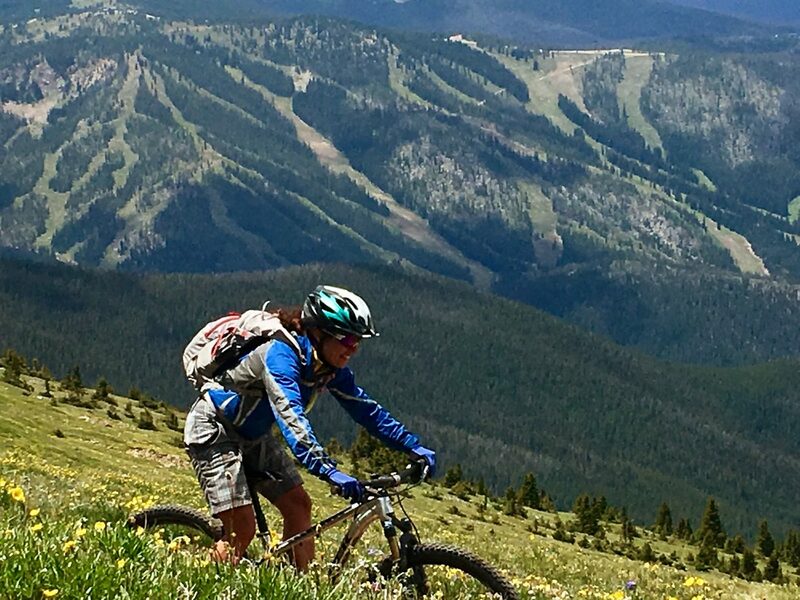 The Never Summer Adventure Race is scheduled for July 22 and 23 in Grand County, returning for it’s second iteration. 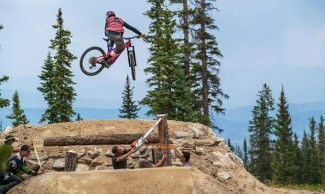 It’s a race-style event where teams race around a secret course throughout the county on foot, mountain bikes and packrafts to reach a series of checkpoints and beat the clock. Teams of two, three and four will be able to compete in either a six or 24 hour race, and will be thrown off trail and forced to test their skills with a compass and topographical map. The six hour race is open to single players and is better suited to beginners. The team that collects the most checkpoints by the end of the 24 hour period, or the first to complete the entire course, wins. 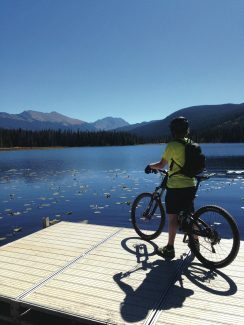 Teams will be given a map of the area the day before the race, marked with 15 different checkpoints participants will either have to hike, bike or paddle to. The playing field for the 24 hour race is over 100 miles and the six hour race is 32 miles, according to Ferrington. “They don’t know where they’re going, but they get the map ahead of time and they’ll strategize the best route from checkpoint to checkpoint,” said Ferrington. The nation’s top adventure racing team, Adventure Medical Kits out of Oakland, will also be participating in the event. The Californians have claimed the last three United States Adventure Racing Association’s National Championships, and are currently ranked top five in the world. Despite the pedigree of some of the teams attending, the races are also meant for beginners. Participants should be competent mountain bikers and rafters, and must be able to navigate with a compass and topographical map. Racers could face up to class 3 rapids depending on waterflow. Ferrington expects about half the teams taking part in the 24 hour race to complete the course, and there will be prizes for the winners. The 24 hour race begins at 9 a.m. on the 22nd and the six hour race begins at 8 a.m. on the 23rd. Both will start and finish at Granby Ranch, where there will also be a party afterward. Registration is still open at myjourneyracing.com.